For those who doubt that immortality is possible in the natural order of things, Gene Logsdon, an Ohio farmer who has done a lot of hard hoeing and hard thinking in his eighty years, nominates chickweed and pigweed as plausible candidates for the Great Forever After. For everything and everybody else he’s pretty sure of the natural eventuality. There’s nothing like a personal brush with death—in his case, a bout with cancer—to focus the mind on the ultimate fate. 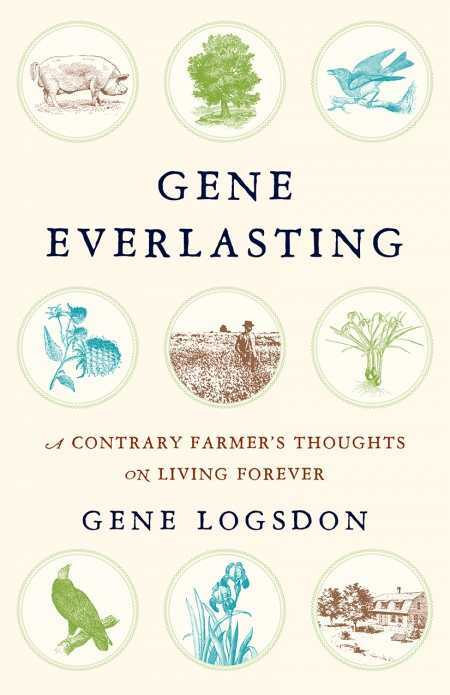 As with many of his other twenty or so books, this one is centered on farming and Logsdon comes across as a man who can plow a straight furrow as well as turn a neat phrase. To grow up on a farm is to learn that there are wrenching moments as we make our way along the food chain. To read his account of a hog butchering, for instance, is to understand why it can make children cry and grown men swig whiskey. It seems fair to conclude, judging from his essays, that he is a better writer than he is farmer, else how could he have let those weeds get such a hold on his family farm?